HEP Hrvatska Elektroprivreda d.d. 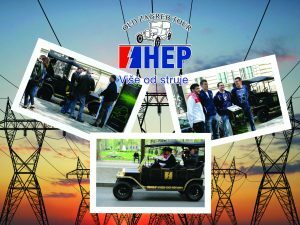 as the general sponsor of the project “HEP Electric Wednesday” this season again gives citizens of Zagreb and their guests free drive in the fully electrical repli ca of the Ford model T through the center of Zagreb. At the same time, we remind you that the project “HEP Electric Wednesday” was launched by the Eco Group (Old Zagreb tour) and with the support of the HEP Hrvatska elektroprivreda d.d., with the aim of promoting electric mobility and environmental responsibility. 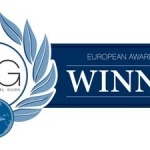 “HEP Electric Wednesday” in Zagreb continues to provide this unique attraction that not only further enriched the tourist offer of the city but was immediately nominated in the first year and won the prestigious Luxury Travel Guide, the Exclusive Tour Operator of the Year, Croatia. The project “HEP Electric Wednesday” was launched by Eco Group and supported by the HEP Hrvatska Elektroprivreda d.d., and to citizens and visitors of Zagreb every Wednesday until September 27, 2017 and from 12 noon to 6 pm, allows a free drive in the electric replica of the Ford model T route through the center of Zagreb (roundabout by Park Zrinjevac – King Tomislav Square – Park Zrinjevac). Through the promotion of environmental responsibility, the project “HEP Electric Wednesday” in Zagreb brings a new and unique attraction that continues to further enrich the tourist offer of the city. In addition to Wednesday, the Old Zagreb tour invites you to unforgettable city tours and sightseeings on other days from our regular starting points at St. Catherine’s Square, Upper Town, and also in front of Hotel Westin and Hotel Eslpanada. You can order a ride through our Old Zagreb tour website, by phone at +385 95 654 6544 or by e-mail . During the 2017 season, you will also find additional features within the Old Zagreb tour, and one of the biggest changes will be the increase in the number of available vehicles for up to 6, allowing us to simultaneously tour the city for groups of up to 24 people. During all the tours, our drivers will also be tour guides that will introduce you to the historical sights of the city as well as to the beginnings of the automotive industry in Zagreb.